The FLIP is a robust safety board made from polymer in which the connection pieces enable you to continuously and efficiently demarcate an area. The PL Kick is specifically designed to absorb impacts that take place low to the ground. The PL Hexa is a hexagonal-shaped, synthetic kick rail which is ideal for protecting walls and skirting boards from collisions. The PL Kerb is similar to the PL Kick but with the added benefit of being able to connect multiple PL Kerbs together to give continuous protection. This Wheel Stop is designed to be installed in parking spaces. It comes in three sizes; small, medium and large. Our kick rails are ideal for protecting walls and skirting boards from impacts that take place low to the ground. 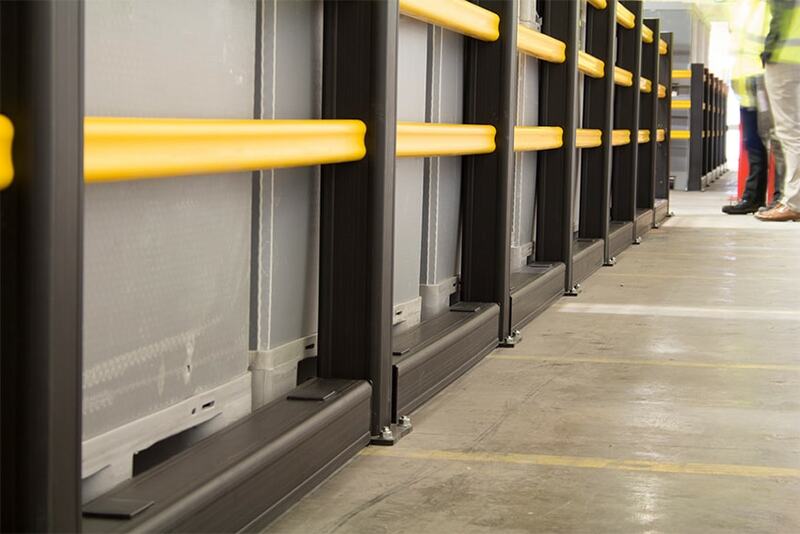 They also act as wheel guides or stoppers for light-wheeled objects such as pallet trucks and trolleys. As well as our kick rails, we also offer a specially designed wheel stop which prevents vehicles from overshooting their parking space without causing damage to the vehicle. These wheel stops are available in three different sizes depending on your requirement. Our kick rails and wheel stops can be customised to fit to the needs of your business.